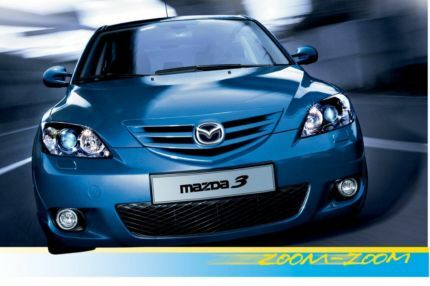 Mazda is one of the world’s best known carmakers. Today, it is models like the Mazda3, Mazda6and SUV Mazda CX-5 that give their happy owners the gift of driving pleasure. 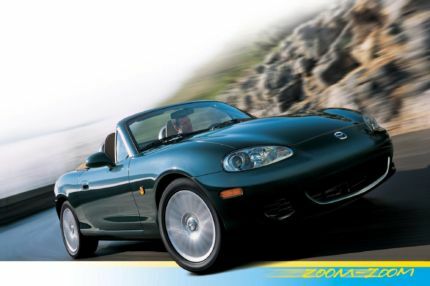 The Mazda MX-5 roadster has long been a legend in its own right. But the company’s origins lay in something completely different – something utterly unlikely given its success story so far. Making cork substitutes from native plants – that is the business Toyo Cork Kogyo Co. Ltd. specialises in. 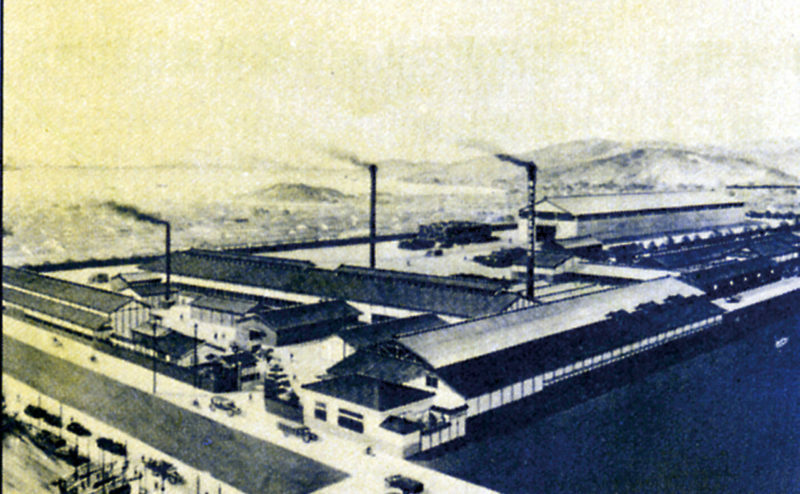 The company is founded on 30 January 1920 in Hiroshima. There is a high demand for the final product from industry as a sealing material. Over time, the global market comes to satisfy this demand with natural cork, causing Toyo Cork Kogyo Co. Ltd. to lose its core business. 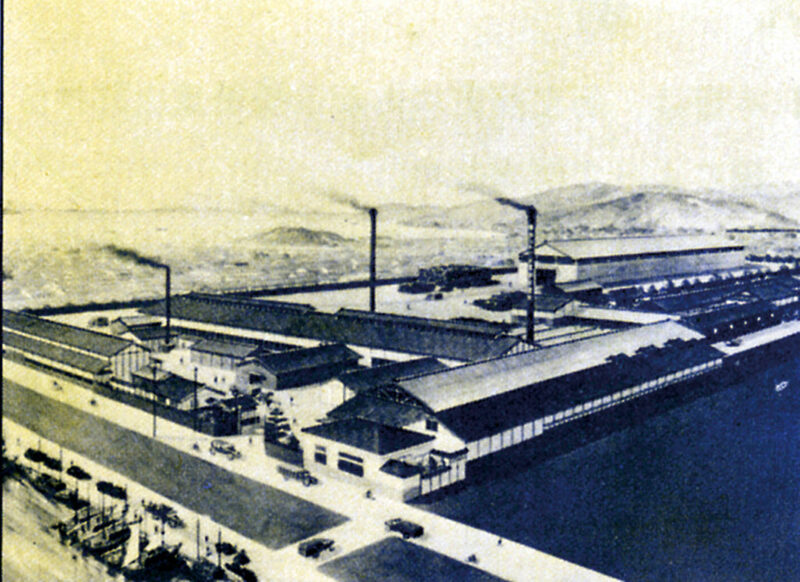 In response to this, Jujiro Matsuda, who became the President in 1921, shifts the production of “Far-Eastern manufacturing” (Toyo Kogyo) to mechanics. In 1927 the company drops the word “cork” from its name permanently. 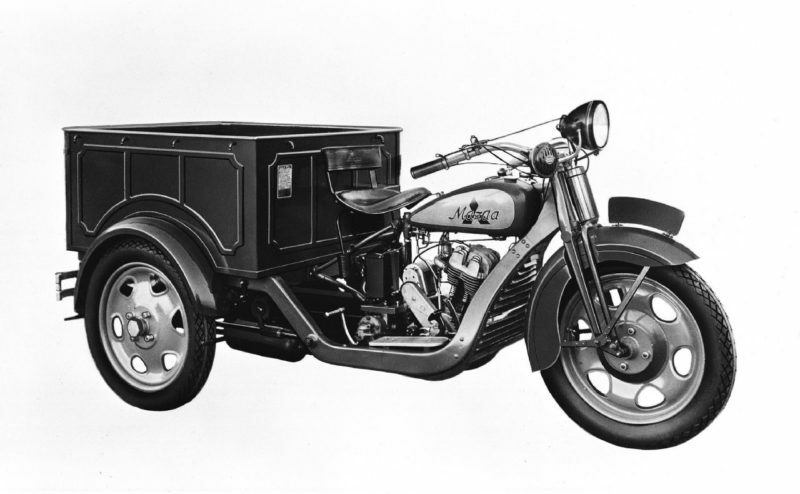 In 1930 work starts on developing a motorised three-wheel truck. 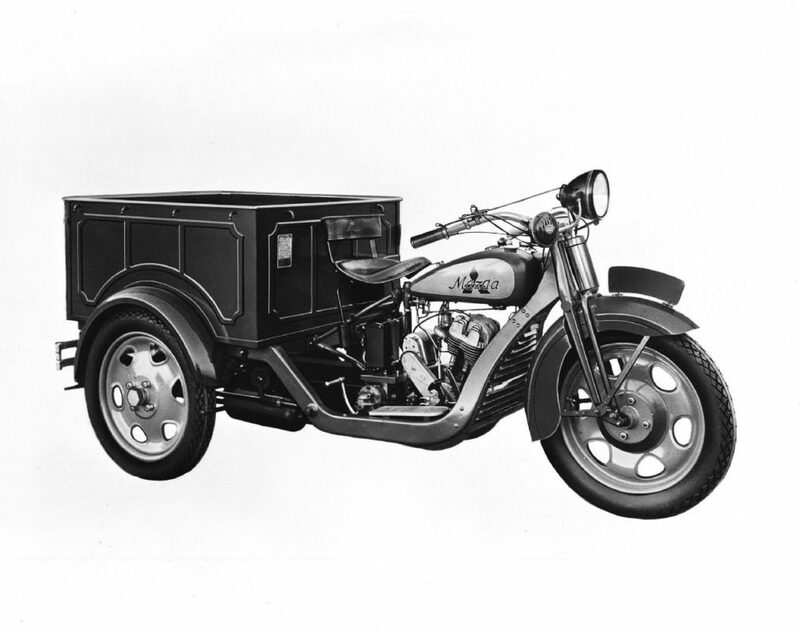 The name Mazda appears for the first time in 1931; series production begins on the first motorised vehicle under the name Mazda GO. Its name originates from Ahura Mazda, the ancient Persian god of light, also the god of wisdom, intelligence and harmony. He is also a symbol for the origins of Eastern and Western cultures. 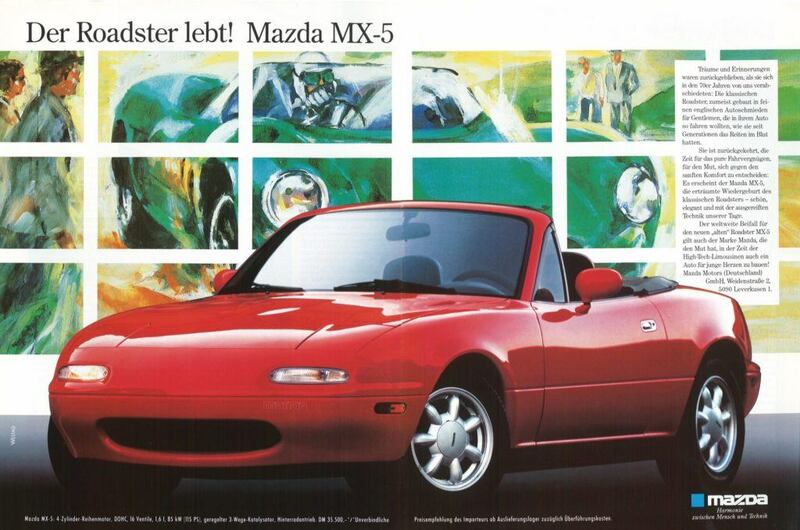 The name also derives from the name of the company’s founder, Matsuda, which is pronounced Mazda in Japanese. In 1936 Toyo Kogyo launches a new logo with a stylised M for Mazda and extended wings to represent Mazda’s agility. Just four years later, the first passenger car prototype is launched; a compact, four-seater family saloon. But World War II puts production on hold. When the atomic bomb is dropped on Hiroshima in 1945, this is a turning point for Toyo Kogyo. The surviving workshops are used as emergency hospitals. From that point onwards, Mazda pays homage to the unique mentality of the people of Hiroshima in its company philosophy: Mazda does things its own way, never gives up, and strives for the exceptional. 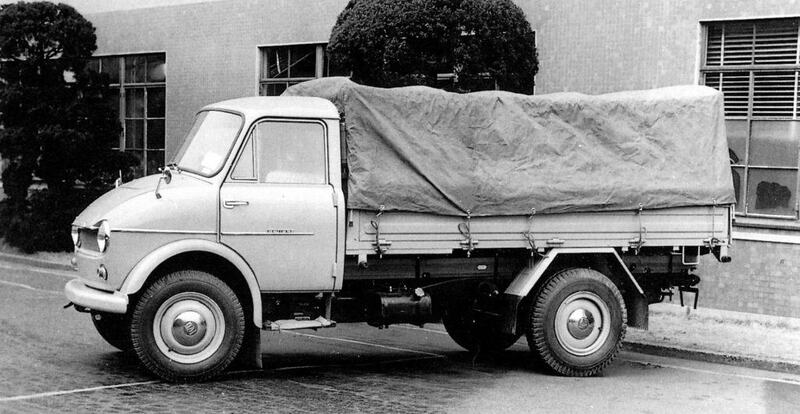 It’s thanks to this that Mazda starts producing commercial vehicles again as early as the end of 1945, and in 1949 it starts exporting its three-wheeled trucks to India. 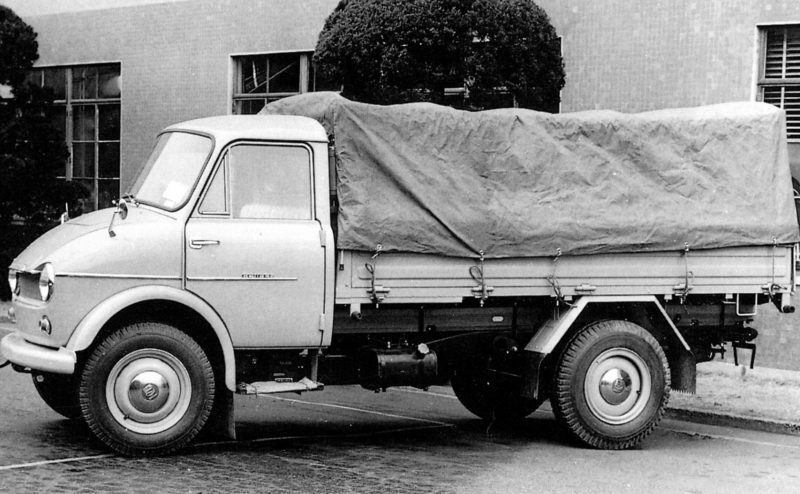 At the end of the 1950s the Mazda commercial vehicle programme includes about 30 models, from small mini vans to the Mazda Romper as a classic 1-ton pick-up. 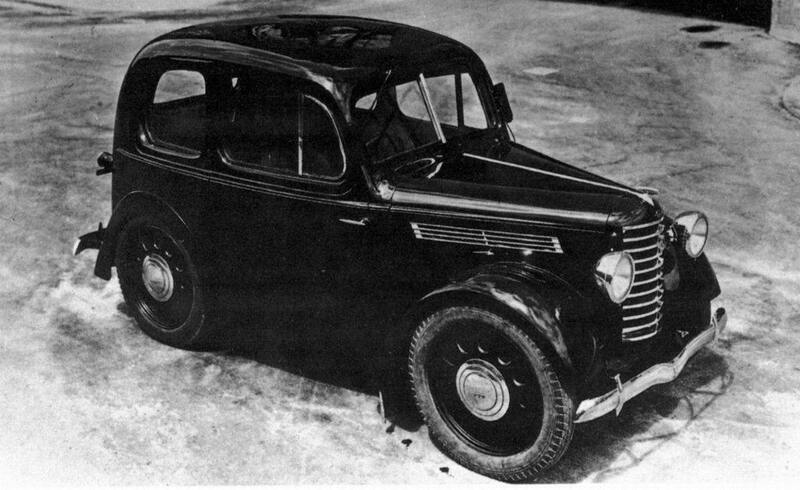 As early as the end of the 1950s, Mazda begins to introduce computer systems into its production processes and Tsuneji Matsuda, the son of the first Mazda President, develops the Pyramid Vision. It is a plan for expanding production to cars of different segments. 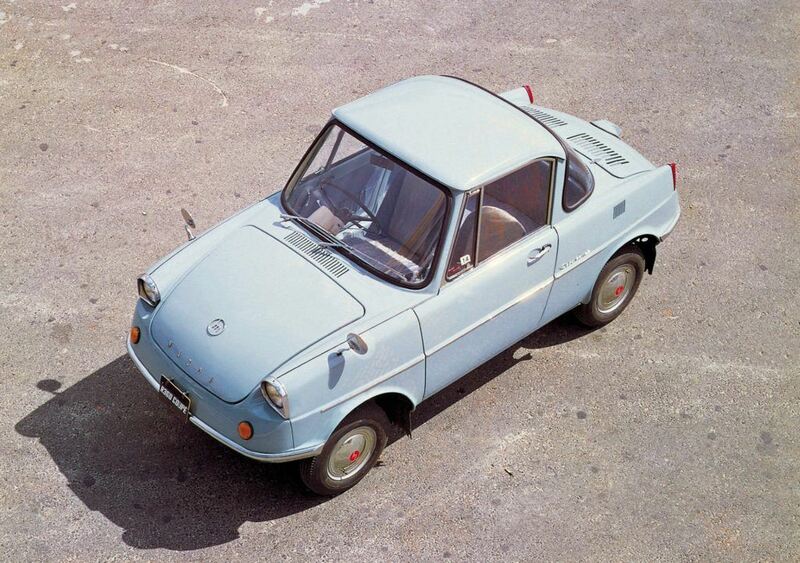 So, in May 1960 Mazda launches its first mass-produced car, the innovative City-Coupé Mazda R360. 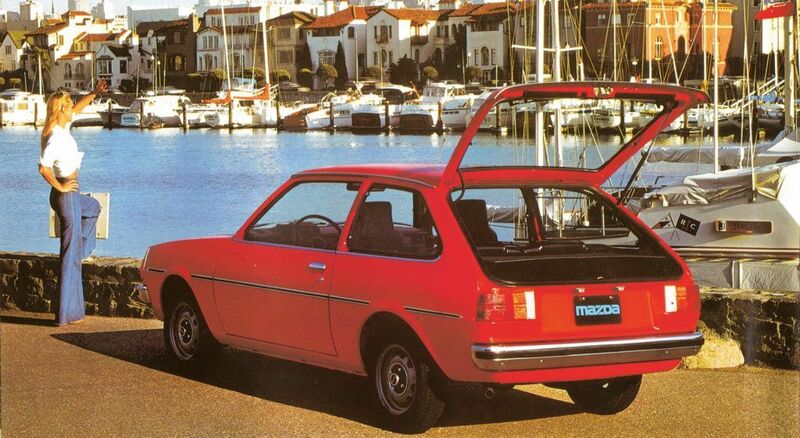 This is followed two years later by the small saloon, the Mazda Carol 360, and later by the compact Mazda Familia 800. 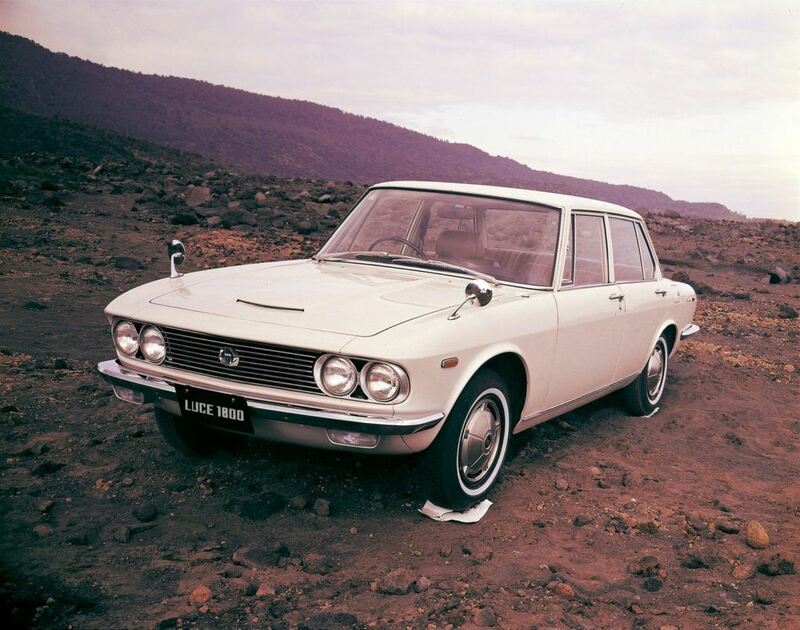 With the sleek Bertone-designed Luce launched in the mid-1960s, Mazda then introduces a saloon as an alternative to its established European counterparts of the discerning intermediate class. The history of Mazda is inextricably linked with the development of innovative drive technologies. The Japanese carmaker has never shied away from unconventional solutions – including the rotary engine. 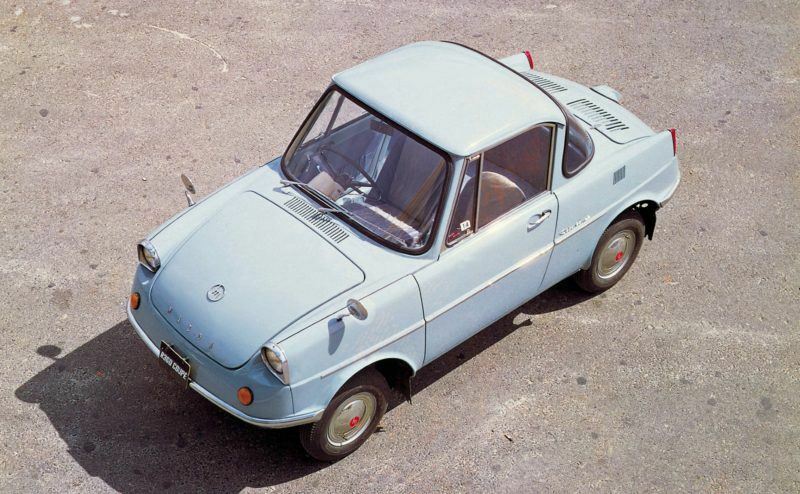 Just two years after the German manufacturer NSU launched an “NSU/Wankel system engine”, Mazda acquires a licence in 1961 for the further development and production of the “Wankel” engine. 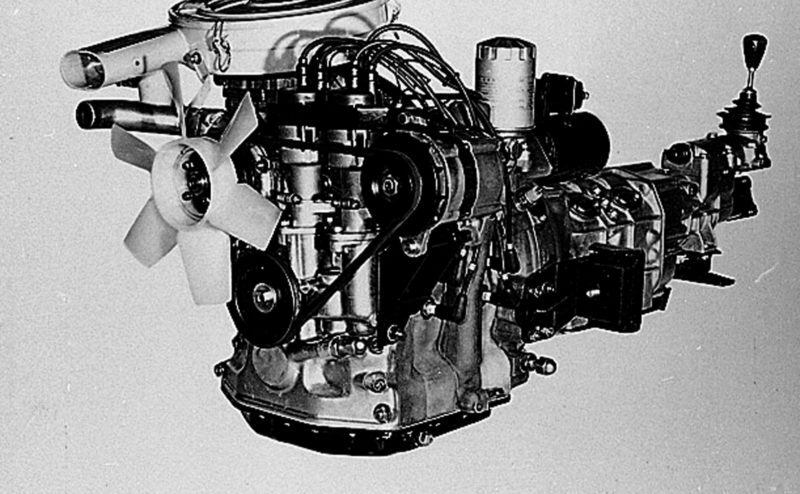 As early as 1963, Mazda establishes a Rotary Engine Development Centre and, in the same year, exhibits the world’s first two-rotor rotary engine at the Tokyo Motor Show. 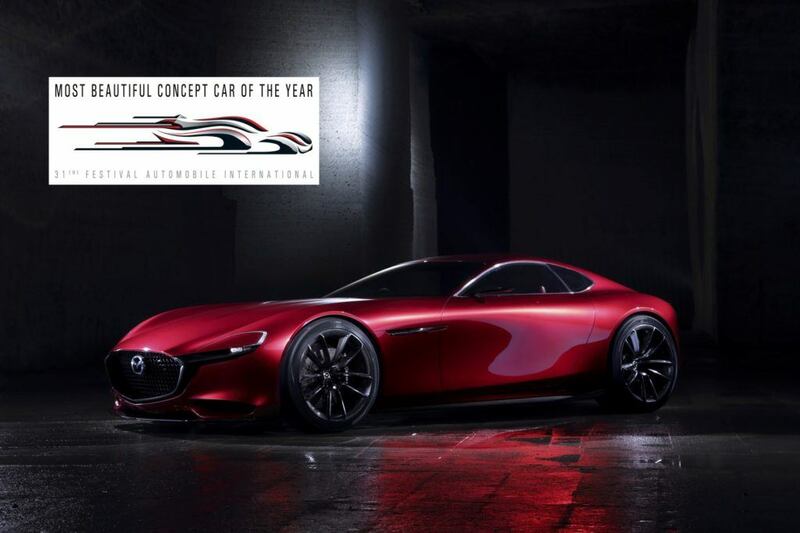 Under this assertive slogan, Mazda launches a super sports car unlike anything the world has ever seen. 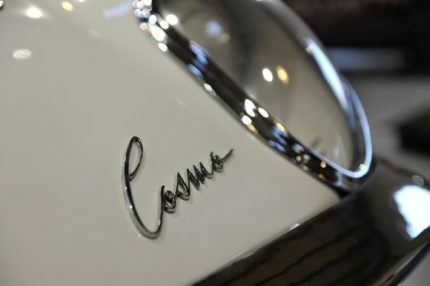 On May 30 1967, the Mazda Cosmo Sport 110 S makes history as the world’s first production car with a two-rotor rotary engine. It is the prelude to a unique success story, and today almost two million Mazdas with rotary engines have been sold. 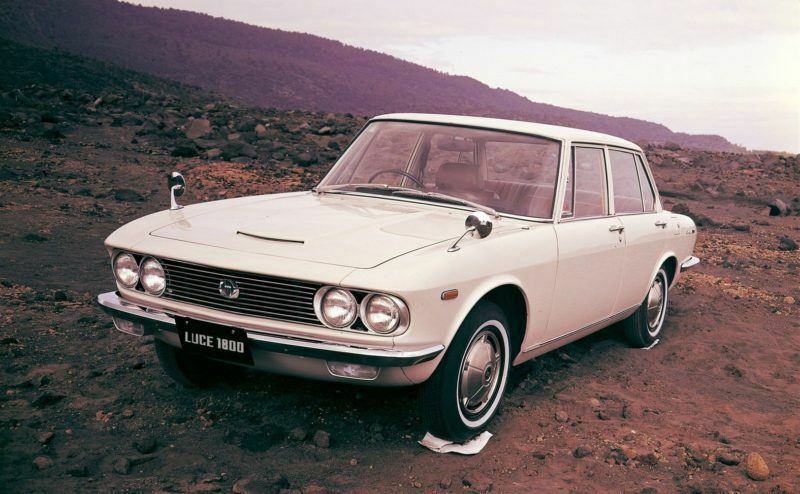 But Mazda also proves its creativity at the end of the 1960s with the unrivalled and parallel sale of conventional piston engines, innovative rotary engines and highly efficient diesel engines. 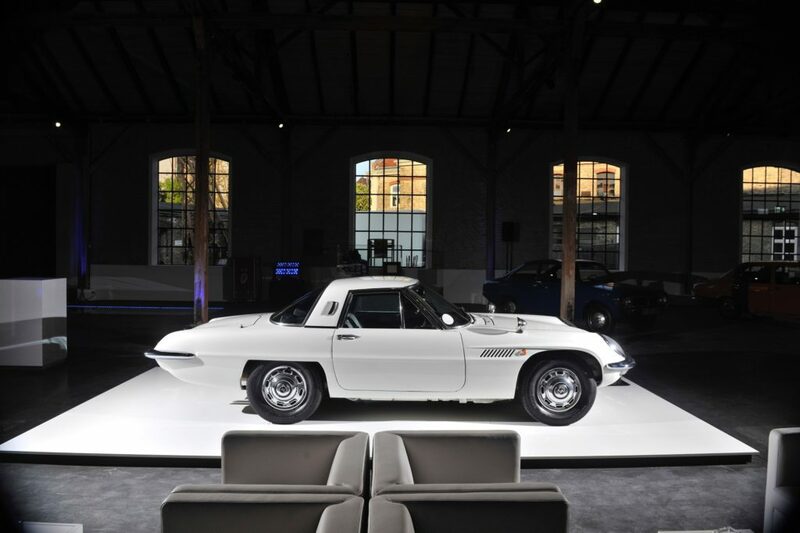 Mazda launches its export offensive to Europe in 1967, with the sleek Bertone-designed Familia and Luce models and innovative coupés with rotary engines. 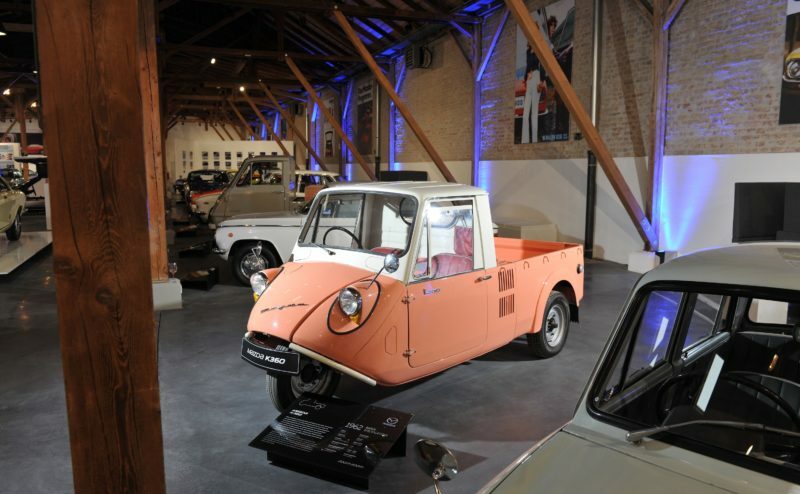 The first market is Norway, but as early as 1969, Mazda presents various models for the German market at the Frankfurt Auto Show. 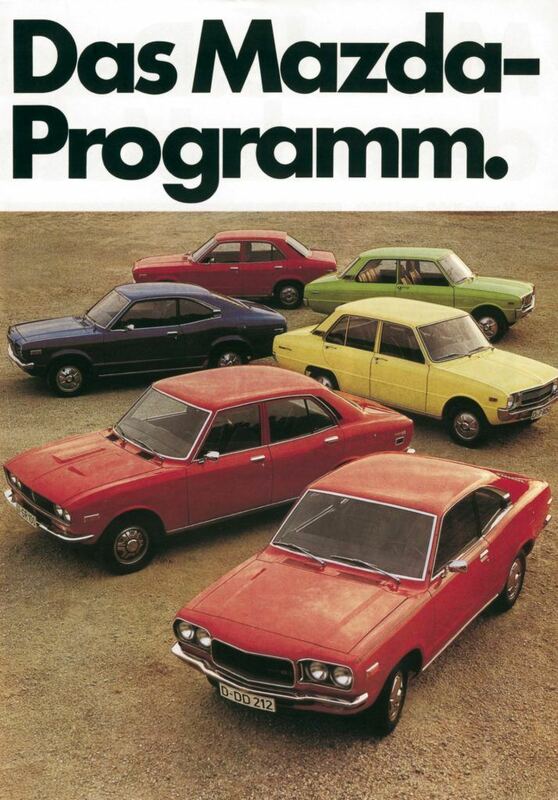 It takes another three years before German sales officially begin, but sales begin in Canada as early as 1968 and the United States in 1970. 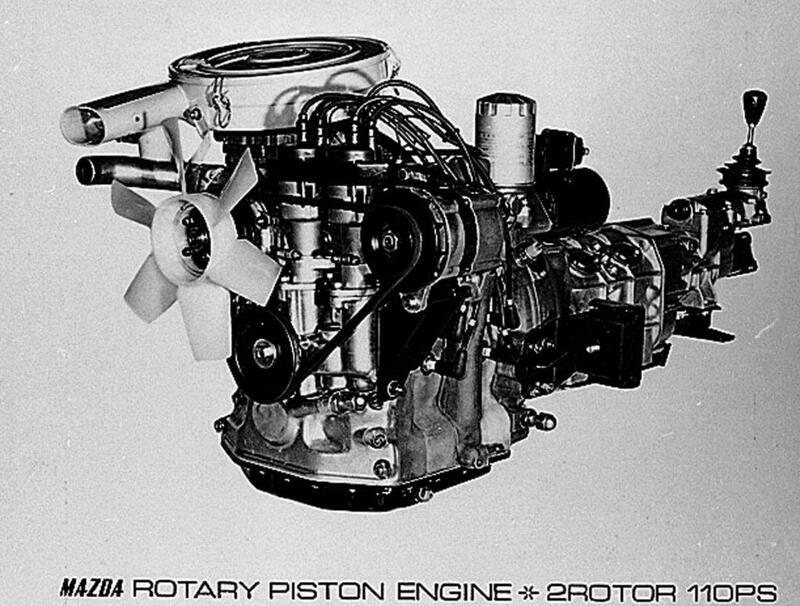 The rotary engines in the Mazda R100 and Mazda RX-2 cause quite a stir, and from 1971, every second Mazda is powered by a rotary engine. 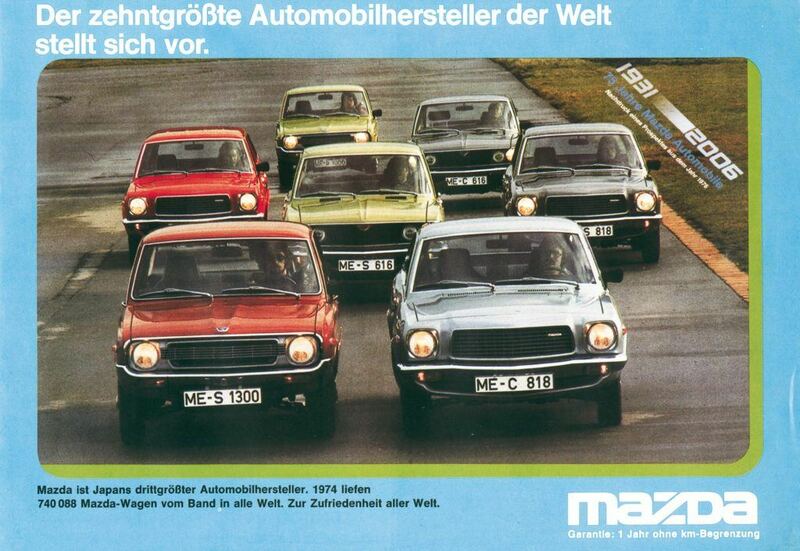 On 23 November, Mazda (Motors) Deutschland is founded. Before its entry in the commercial register, Managing Director Masayuki Kirihara spends the night in Room 323 of the Düsseldorf Hilton. That number will become the key to success for Mazda as a model name. The Mazda 323 becomes one of Germany’s best-selling import models in the compact class over many years. 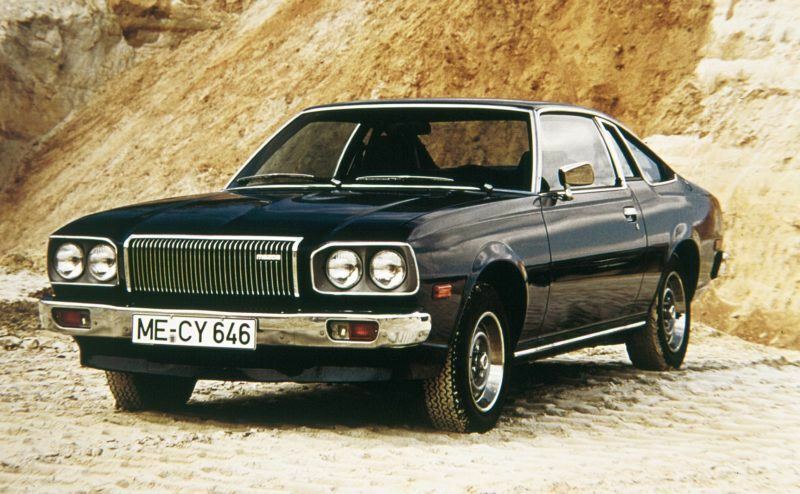 But Mazda Deutschland’s first top models when sales start in 1973 are the mid-range series 616 and the RX-3 coupé with a two-rotor rotary engine. Specialist media and customers in Germany rate all Mazdas highly, above all for their diverse standard equipment and efficient engines. 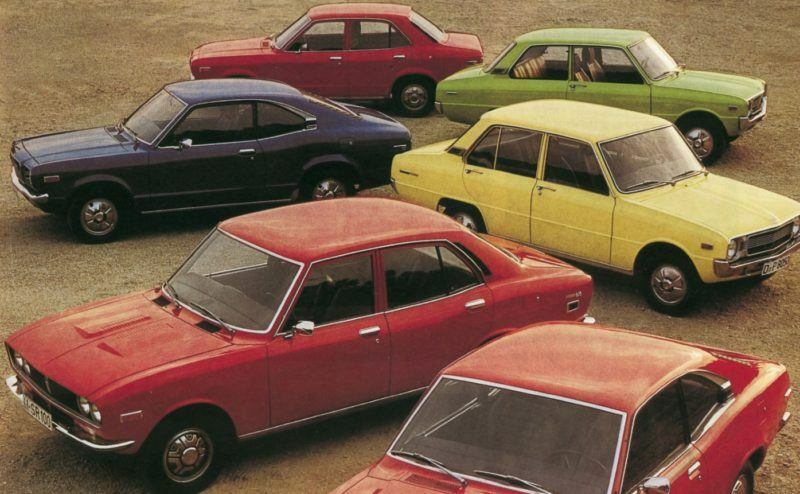 At the beginning of the 1970s the worldwide sales of Mazda drive onwards and upwards. 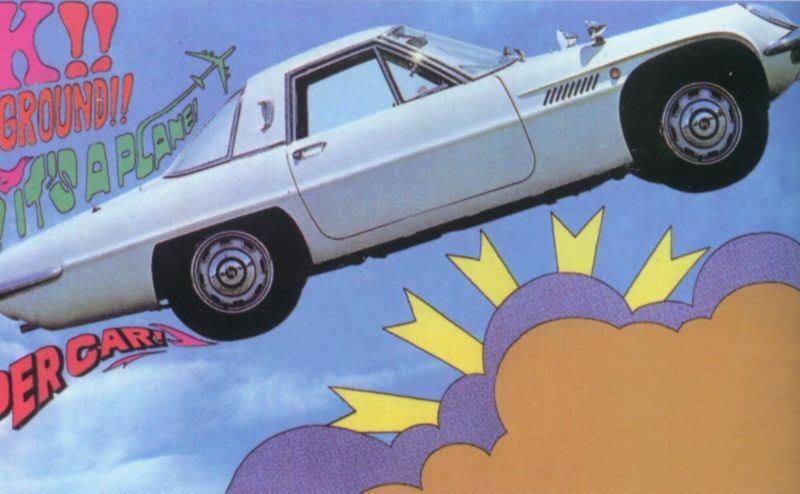 The annual production of rotary-engine Mazda models alone increases to around 240,000 units by 1973, so that Mazda finally enters the world’s top ten largest automotive manufacturers a year later, celebrating more sales and production records in the years that follow. Mazda endures some stormy times from the impact of the first oil crisis in America in particular. Mazda finds itself back on course for success, not least through its ground-breakingly efficient drive solutions that dramatically reduce fuel consumption and CO2 emissions. These are a core part of the Phoenix Plan, dedicated to sustainability, which gives Mazda renewed strength. 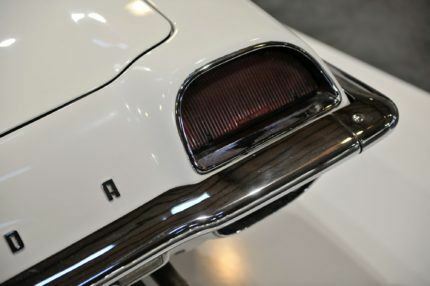 As such, the Mazda Cosmo AP and Mazda RX-5 are launched in 1975 with efficient two-rotor rotary engines that reduce consumption by 40%. 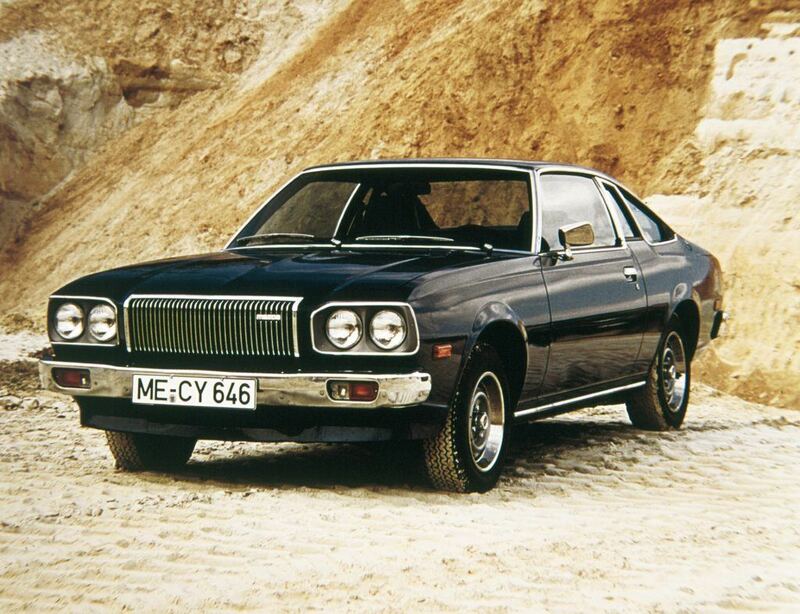 Two years previously, in 1973, the Mazda rotary engine is the first unit ever to pass new US emission standards for 1975 in the United States. 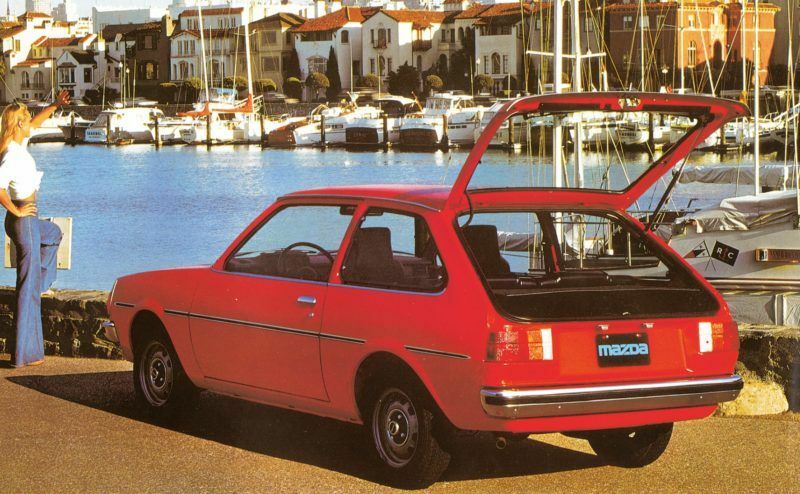 The driving force in the Mazda line-up in 1977, the compact Mazda 323 hatchback, makes a spectacular début. The affordable and reliable Japanese model breezes through a sensational epic journey from Hiroshima to its première at the Frankfurt Auto Show. 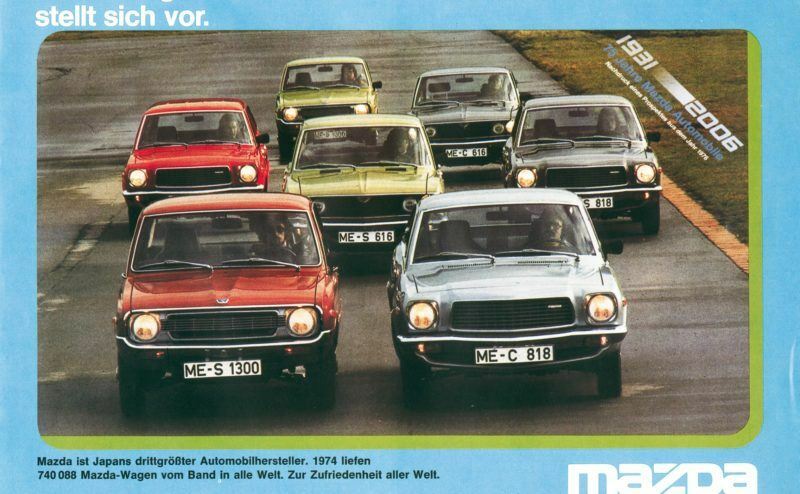 Soon after, in Germany, it becomes one of the most popular imported compact models. 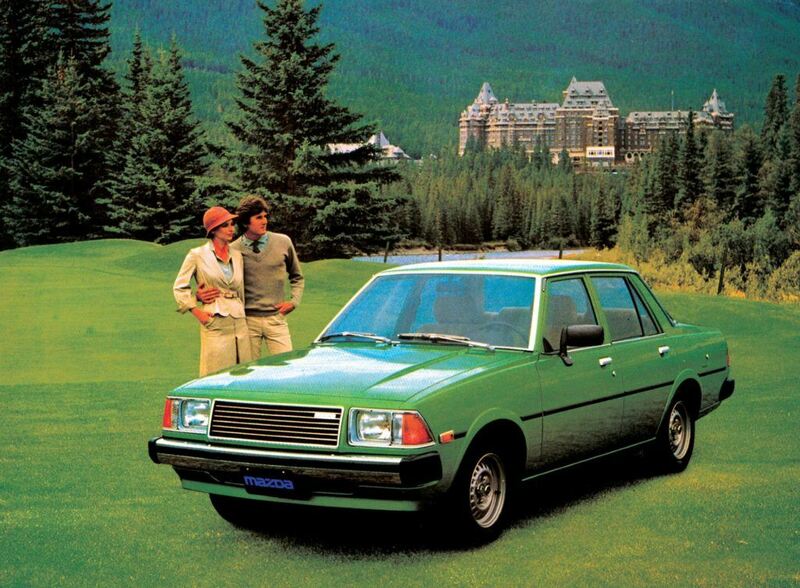 It is a winning model which, from 1981, becomes the first Mazda to be sold in both East and West Germany. As a four-door family saloon and elegant coupé with a European-inspired design, the Mazda 626 vies for the crown of its class from 1978 onwards. Dubbed by the media as the “German from Japan”, this intermediate model also stands out with its reliability, affordability, and later its technical refinements such as 4WS all-wheel steering. 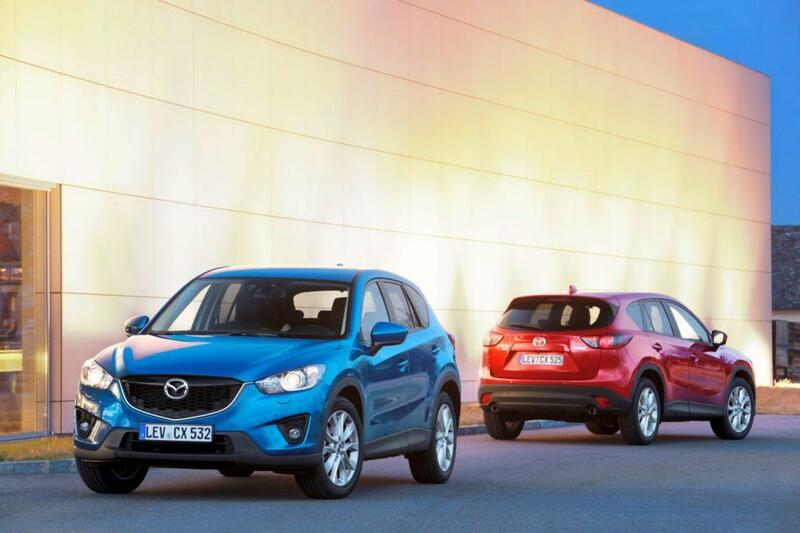 Bearing all the hallmarks of a bestselling career, it helps Mazda Deutschland almost double its sales figures. More than 4.3 million units of five generations of the Mazda 626 are sold by 2002, making the Mazda 626 the bestselling Japanese automobile in Germany over many years. This wedge-shaped sports car with pop-up headlights sets a milestone even before it celebrates its German sales launch in May 1979; in November 1978, an RX-7 rolls off the production line as the millionth rotary-engine Mazda. 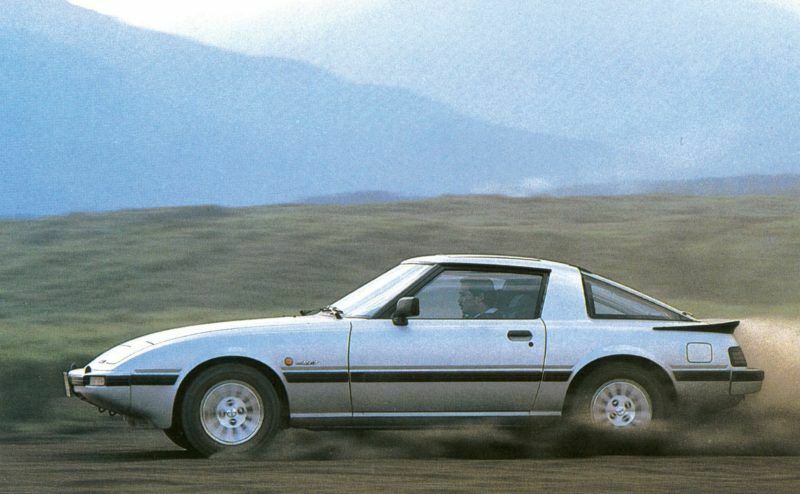 The prelude to constantly improving optimum values, set by the three generations of Mazda RX-7 sold until 2002. The career highlights of the RX-7 also include sporting triumphs such as eight consecutive American IMSA Championships and winning the 24-hour Spa-Francorchamps. 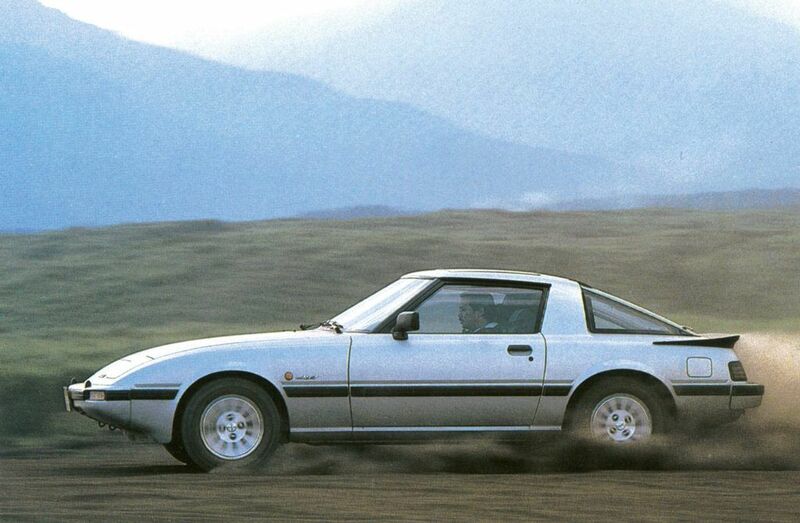 And on the road the Mazda RX-7 is considered the ultimate rotary-engine supercar. 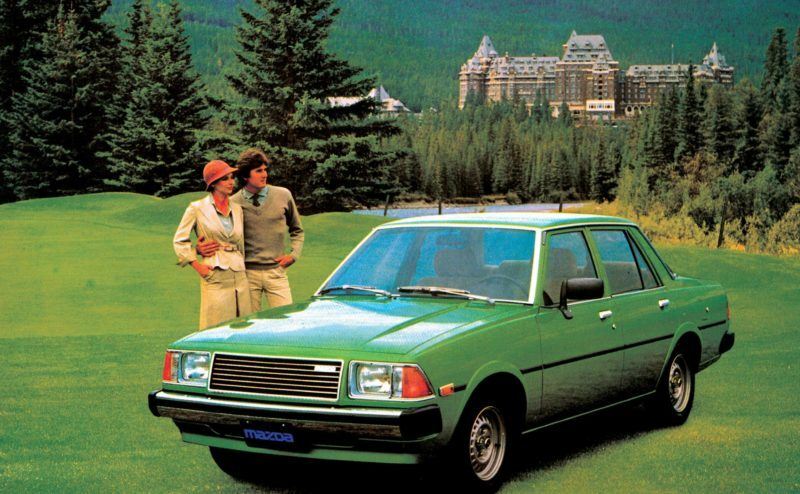 In 1984, Toyo Kogyo is finally consigned to history as the company renames itself Mazda Motor Corporation. The basic form of today’s logo is introduced in 1997 and is updated and further developed over time. The Mazda “M” stretches its wings out more than ever for its agile glide into the future. 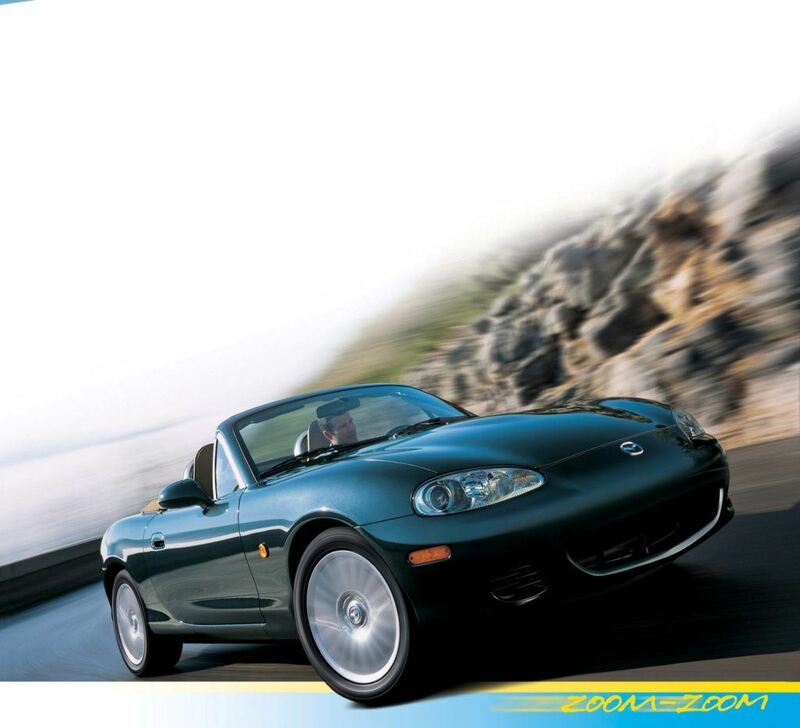 Today, the Mazda MX-5 is the benchmark and role model for all open-top sports cars. A classic roadster with front-engine and rear-wheel drive, which has appeared in the Guinness Book of Records as the best-selling two-seater sports car of all time since 2000. More than one million MX-5s have been rolled out so far, a figure which nobody would have thought possible at the end of the 1980s. 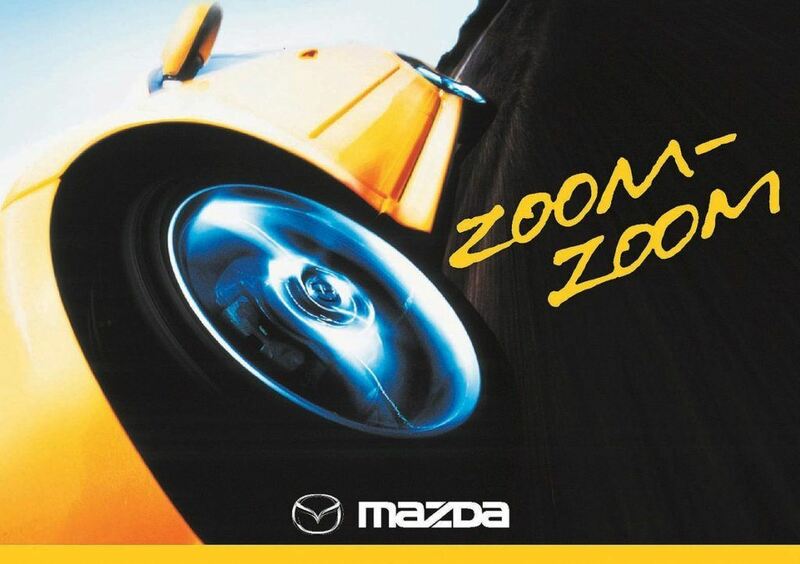 In 1989, the most sporty Mazda yet turns a vision into reality. The vision of the American motor journalist Bob Hall and Mazda’s Head of Development and later Executive Director, Kenichi Yamamoto. Two car enthusiasts who designed a desirable and affordable open-top roadster based on English lines, but combined with the all-year suitability of modern convertibles, and technology which is as efficient as it is reliable. 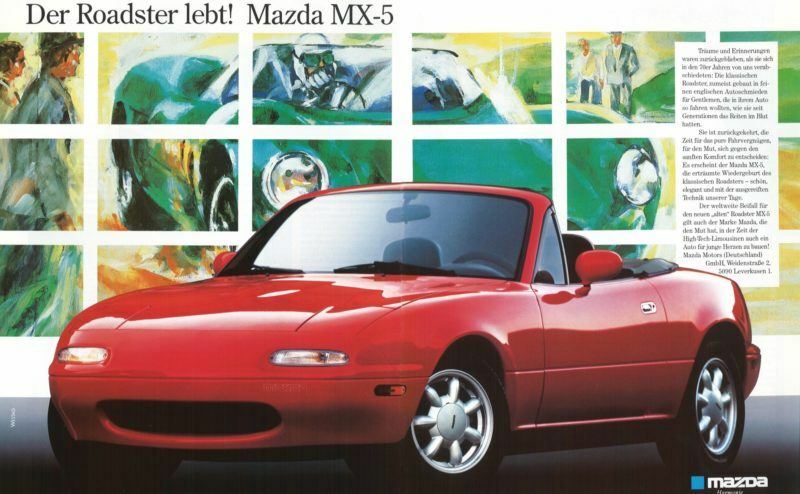 On February 11 1989, this roadster dream celebrated its highly acclaimed public première at the Chicago Auto Show as a Mazda MX-5, or Mazda Miata, as it is called in America. This is the beginning of an unprecedented success story spanning four MX-5 generations so far. 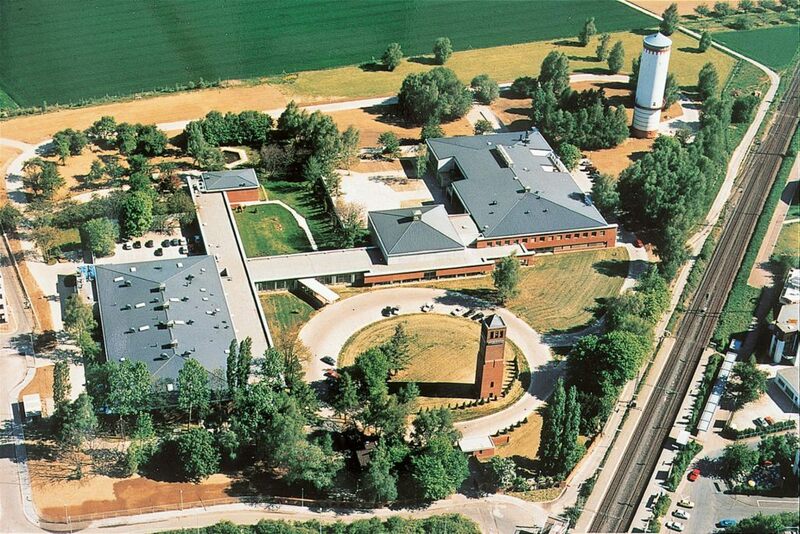 In 1990, the European Mazda Research & Development Centre opens in Oberursel near Frankfurt am Main, Germany. It is one of three Mazda development centres worldwide set with the task of design and technical innovation. 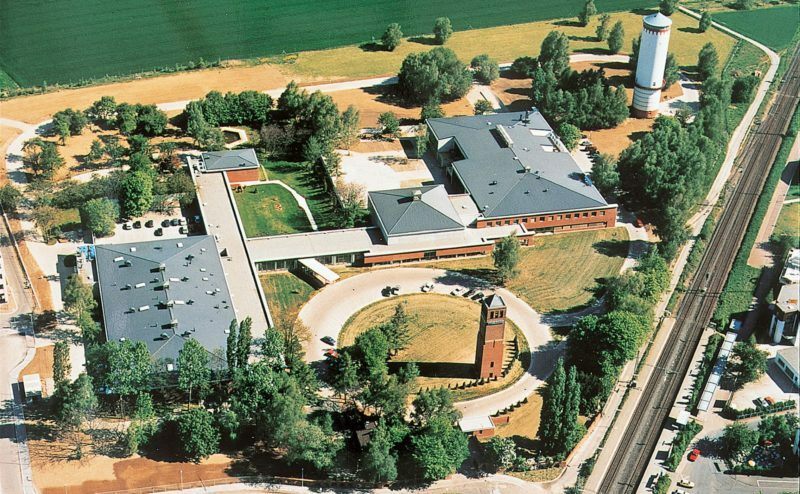 The Mazda European Research & Development Centre works together with the Japanese headquarters in model development, from the first draft to the finished vehicle, focussing on the conditions and requirements of the European market. It is the ultimate challenge for engine quality and reliability and automotive technology. Which is why endurance races mark not only sporting milestones in Mazda’s motorsport history (which began in 1968), but most importantly its toughest tests for man and machine. 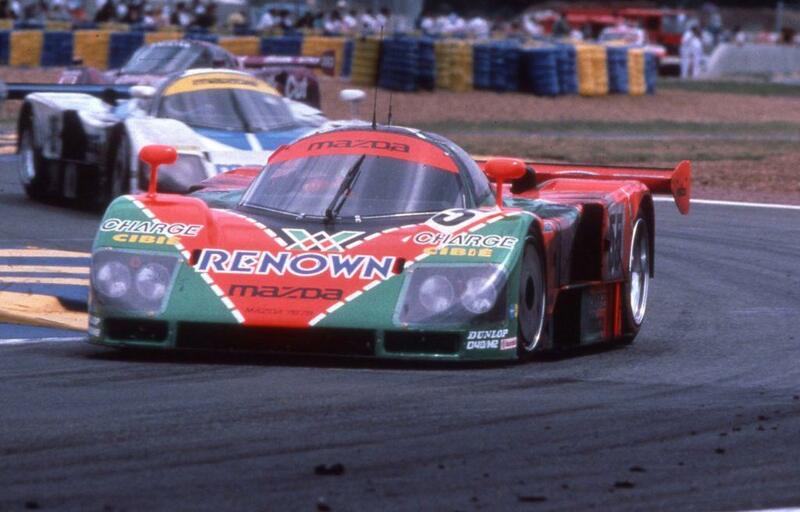 In 1991, Mazda secures the most important record in the history of motorsport at the world’s top endurance race for sports cars, the 24-hour Le Mans. 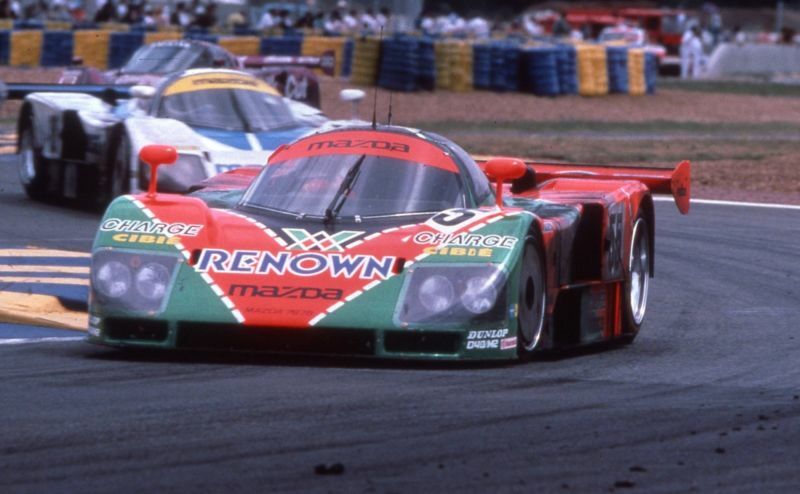 Mazda takes overall victory on the legendary Circuit de la Sarthe, becoming the first and only Japanese manufacturer to date to triumph in the race, proving the unprecedented superiority and strength of the 515 kW/700 HP four-rotor rotary engine in the 787 B sports car. After Mazda withstands some turbulent times due to currency fluctuations in some export markets, sales on the domestic market strengthen in the 1990s with its new distribution networks, Eunos, Autozam, Autorama and Afini. 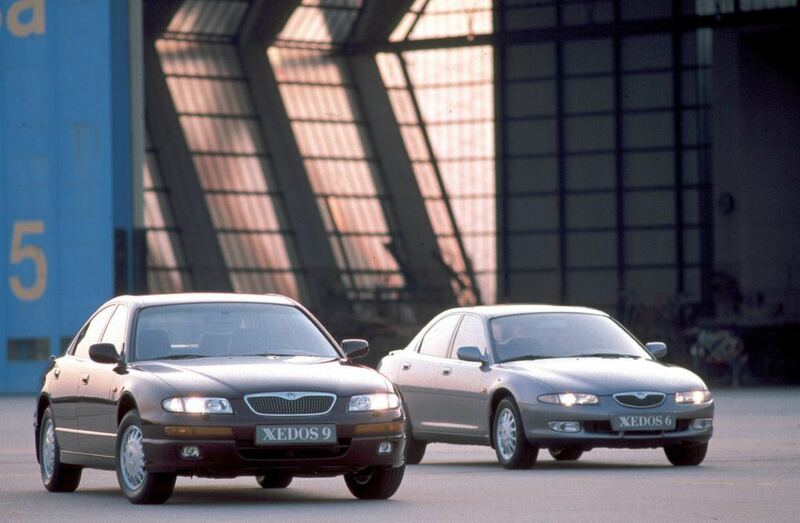 With its sleek and technically innovative models, the Xedos 6 and Xedos 9, Mazda penetrates the premium segment in Germany. 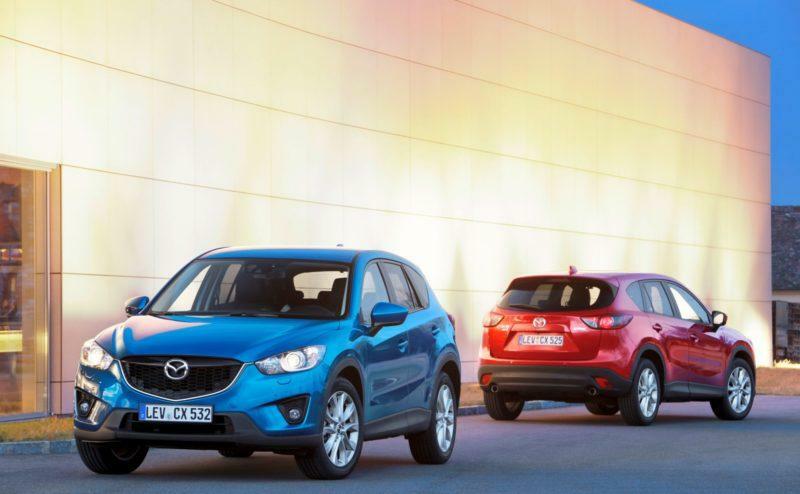 But the variety of brands creates problems in distribution, which Mazda resolves by returning to its core brand and having a closer financial partnership with Ford. In 1996 Ford increases its equity stake, retaining 33.4% of Mazda. It is not until 2008 that Ford cuts its shares back to 11%, and in 2015 it lies at just 2.1%. 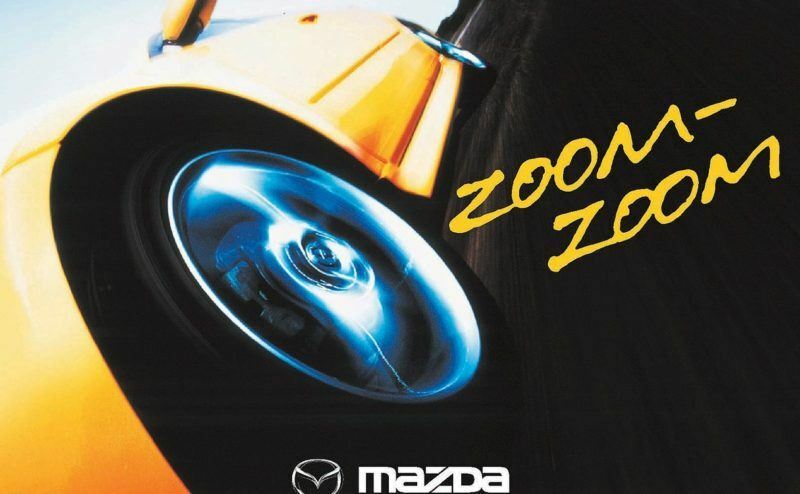 In 2002, Zoom-Zoom becomes the global Mazda brand ambassador and the symbol of a new era for one of the most emotive car brands out there. This includes the largest model offensive in the company’s history, which begins in 2002 with the Mazda6 and continues with the compact Mazda3, the Mazda2 sporty city car , the compact van Mazda5, the SUV Mazda CX-7, a new generation of the cult roadster Mazda MX-5, and the Mazda RX-8 as the world’s only sports car with a rotary engine. A new design era marked by the Mazda6. The intermediate models line up as the first Mazdas of the Zoom-Zoom era, winning several comparison tests from the outset and, like the Mazda 626, heading for the top of the import charts. 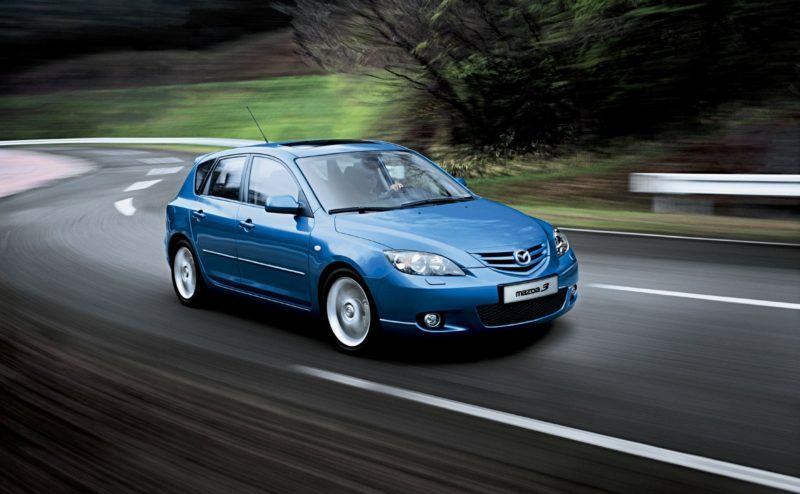 From 2006, sporting emotions come in the form of the Mazda6 MPS with a 191 kW/260 HP turbocharged petrol engine. 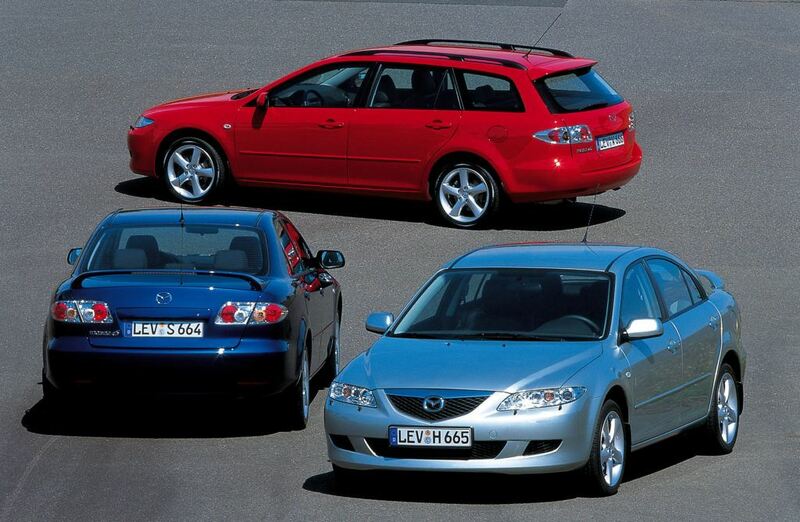 The production of the Mazda6 reaches the one million mark as early as February 2006. Designed in the Zoom-Zoom style, the all-new Mazda3 will shake up the compact class. 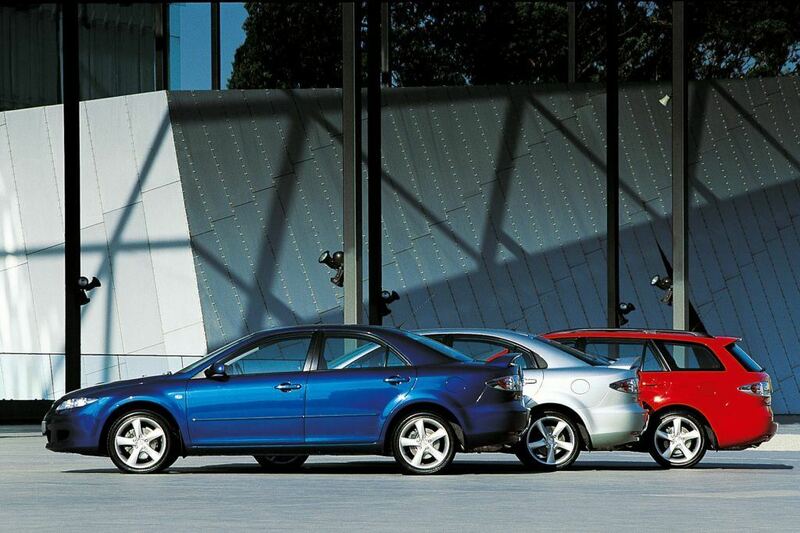 Just like the Mazda 323 did before, which was sold in nearly 800,000 units in over 25 years in Germany alone. The Mazda3 is a true sensation that brings a breath of fresh air to the most popular car segment on the domestic market. From the outset, the Mazda3 is one of the most dynamic, efficient but also spacious models of the compact class, a direction still followed by today’s third generation of the Mazda3. Against the backdrop of ever more apparent climate change, reducing emissions is a key goal that determines Mazda’s business activities. 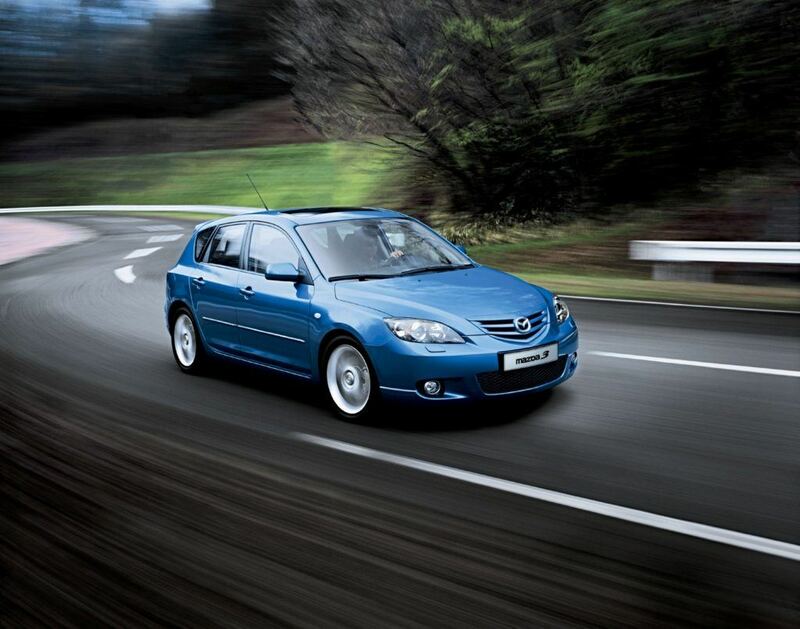 By improving fuel efficiency, Mazda manages to reduce the consumption of sold vehicles by 30% between 2001 and 2008. Building on this success, in 2007 Mazda launches the long-term Zoom-Zoom sustainability programme, the first step of which is to reduce the fleet’s global consumption by another 30% by 2015 with a brand new engine and vehicle generation. Sustainable Zoom-Zoom is visualised in the study Kiyora, among others. Ecologically sustainable drive systems are an integral part of Mazda research work, with its focus on the use of hydrogen as an alternative energy source. 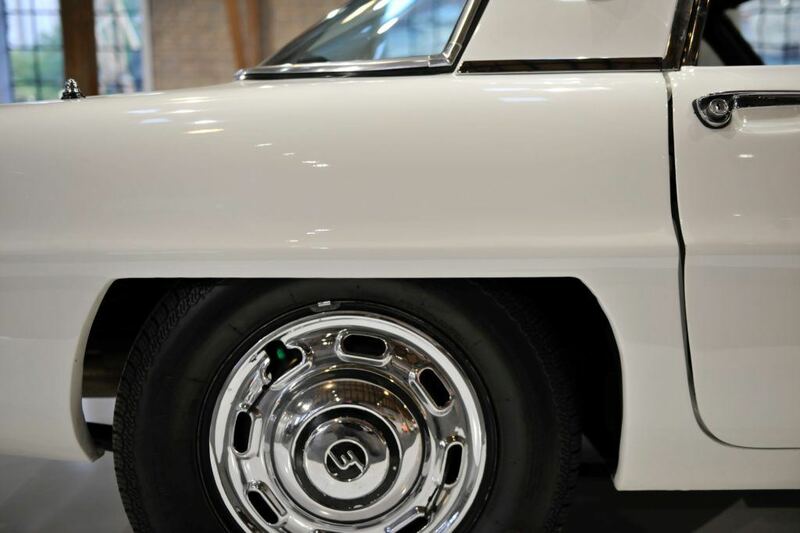 In the RENESIS hydrogen rotary motor, fuel cell technology uses the energy from the reaction of hydrogen and oxygen to power an electric motor. 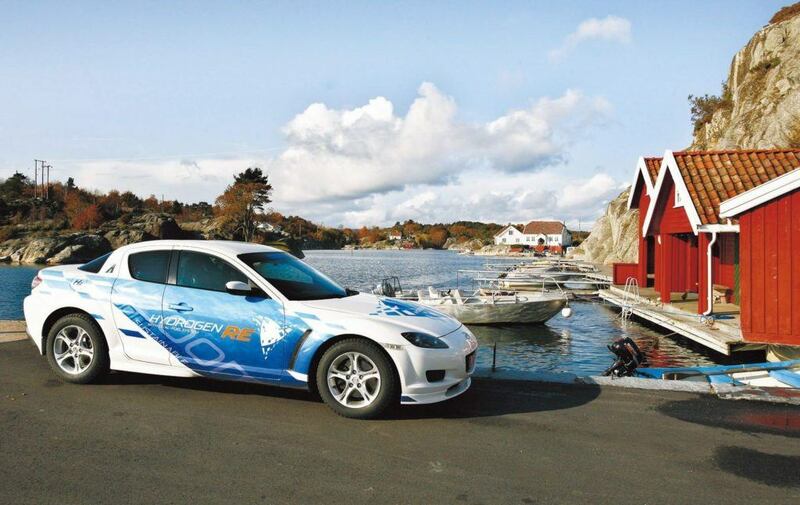 This technology, tested since the early 1990s in Mazda concept cars, provides the basis for the first Mazda RX-8 Hydrogen RE. A futuristic vehicle with a hydrogen and petrol fuel compatible rotary engine which goes to field trials in 2006 and is used in a large-scale project in Norway from 2008. How can you combine low power consumption and minimum emissions with outstanding performance? 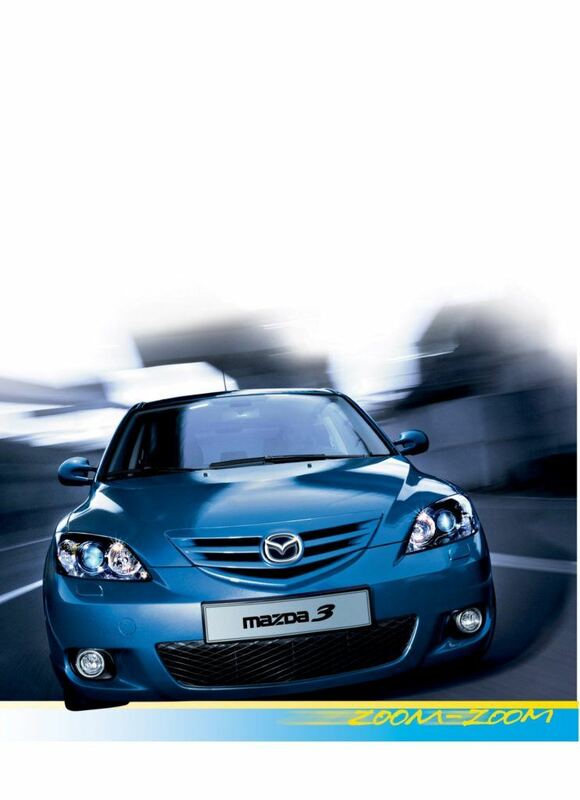 With the ground-breaking SKYACTIV drive technology, which Mazda launched in 2010. With their inherent passion for research, Mazda engineers developed an unconventional technology package comprising safety devices, lightweight construction, innovative transmissions and highly efficient engines with the world’s highest compression ratio. All this so that every Mazda can harmoniously marry maximum efficiency with ultimate driving pleasure and safety. 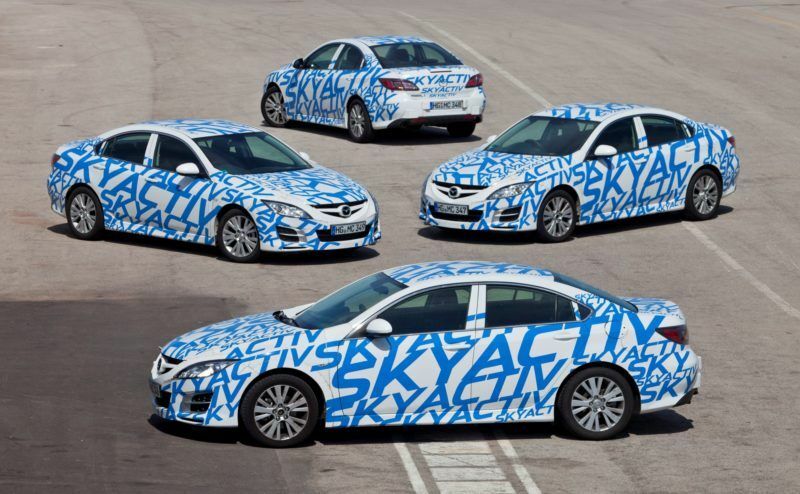 SKYACTIV is an integral drive concept ranging from the engine to the gearbox, to the chassis and body. In 2012, the Mazda CX-5 becomes the first production model in the new Mazda design language “KODO – Soul of Motion”, boasting the complete range of innovative SKYACTIV technology. Inspired by the power and beauty of the natural movements of animals, the KODO design expresses something that the Mazda philosophy makes unique: the primal, intensive joy of movement. 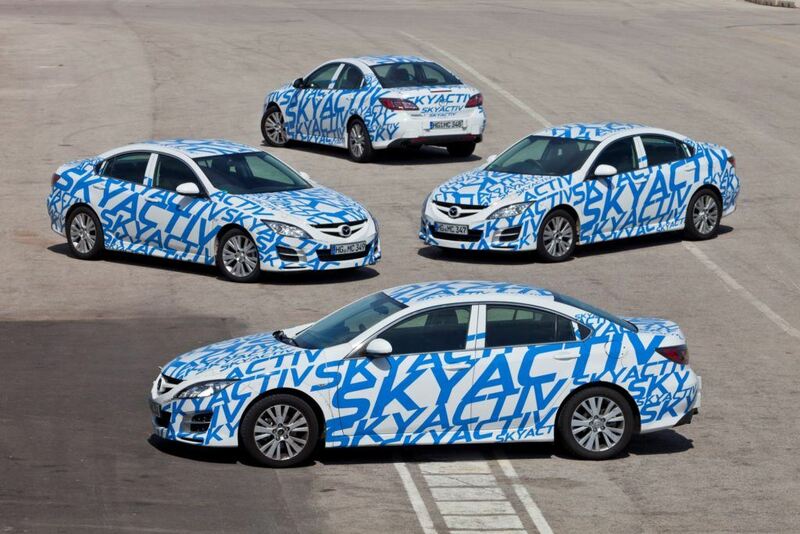 After just two years in production, one million Mazda SKYACTIV models have already been sold. As the Mazda CX-5, Mazda6 and Mazda3. 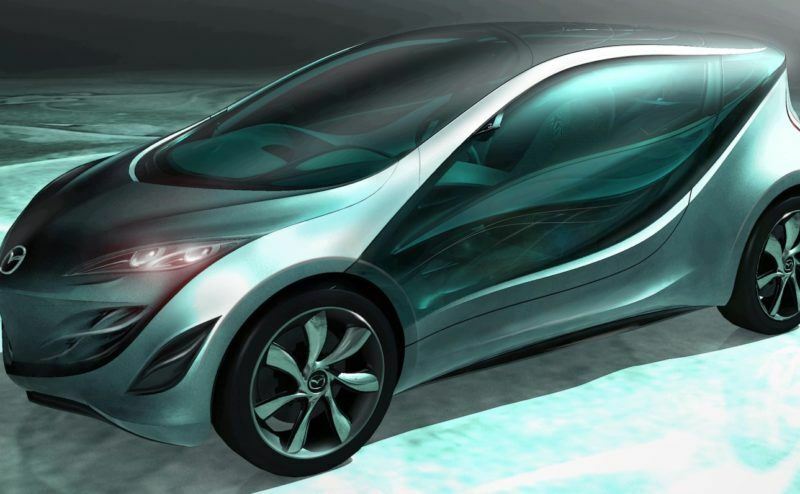 The Mazda3 SKYACTIV HYBRID is also launched in Japan in 2013 with a combination of petrol and electric propulsion. In 2016 Mazda celebrates a most exceptional production anniversary; after just four years, more than three million Mazdas with SKYACTIV technology and KODO design are delivered. 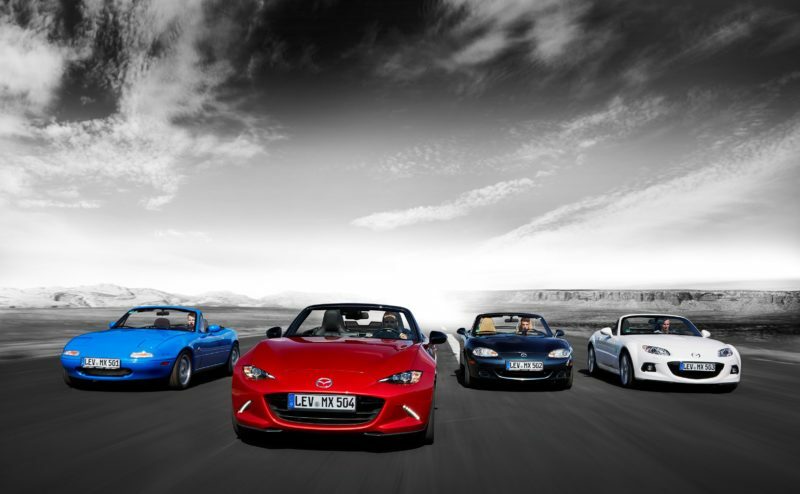 Including the first new Mazda MX-5s. 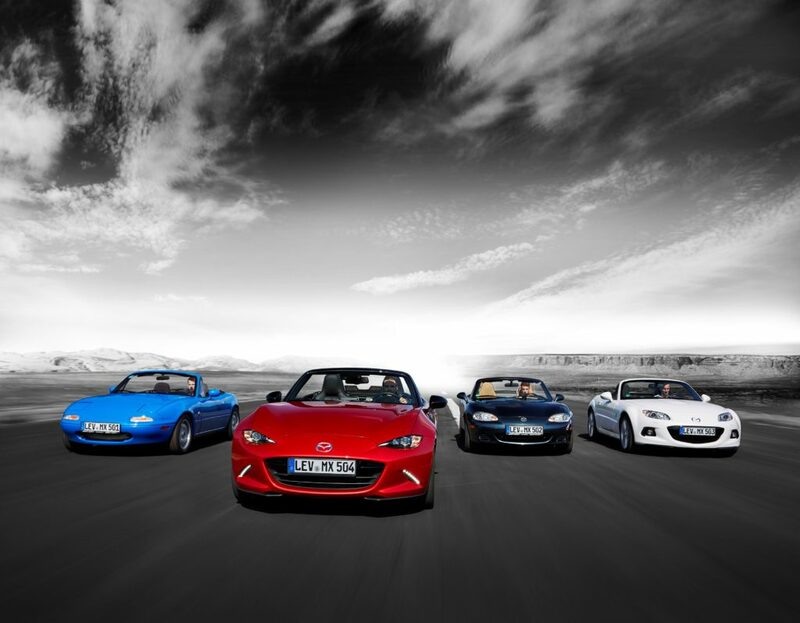 The fourth generation of the sports car is the lightweight of the roadsters thanks to the latest SKYACTIV technology. 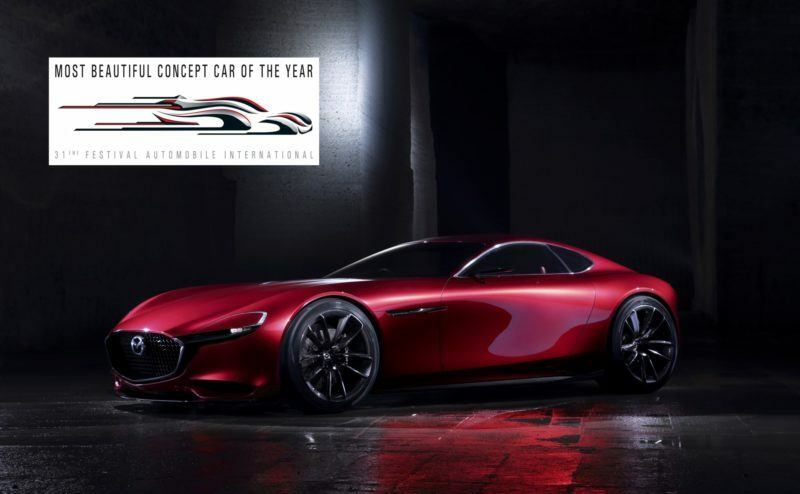 In the stunning design of the winning sports car, RX-Vision, Mazda presents the next-generation rotary engine, the SKYACTIV-R. Like all Mazda production models, the RX-Vision reflects the brand values technology, design and driving pleasure. 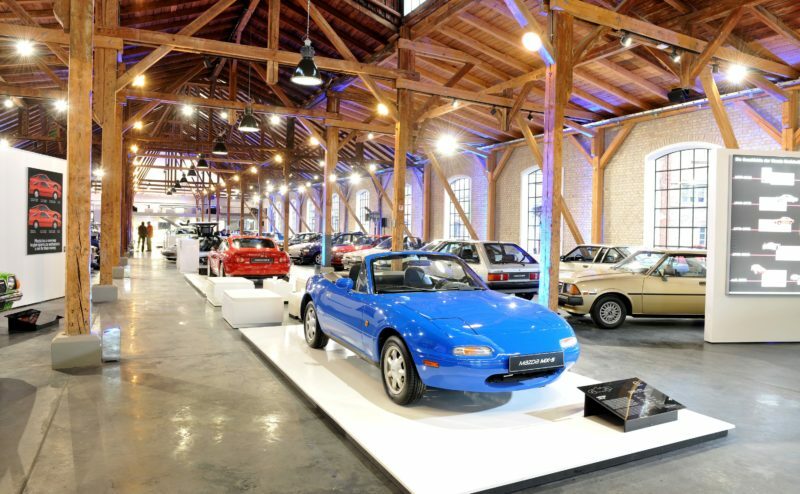 You can experience the great history of Mazda and the milestones in vehicle technology! 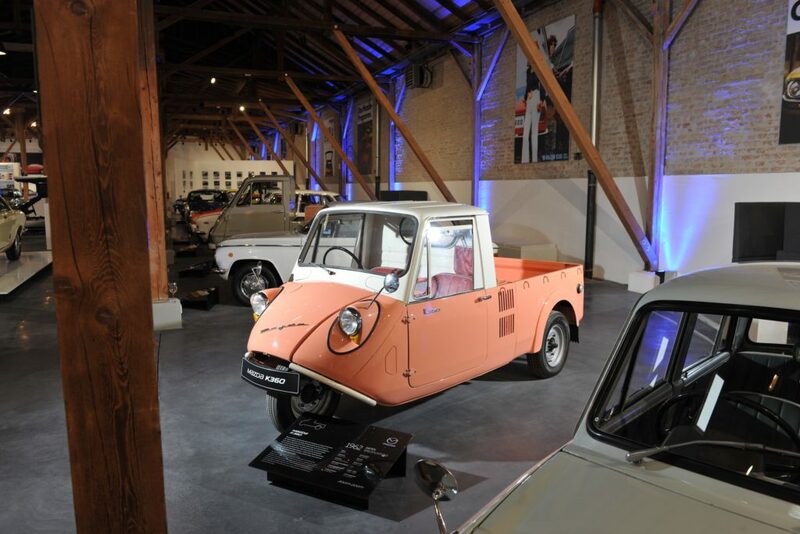 From spring 2017, let Frey’s Mazda Classic Car Museum take you into the world of the Japanese carmaker, at the historic tram depot in Senkelbach, Augsburg. Come and enjoy the 50 or so beautifully restored vehicles, copious information and exclusive catering. Well worth a visit! More information on admission prices and special opening times. Sign up to our newsletter and be among the first to know about special offers!